The videos of personal testimonies are intended to provide the viewer unscripted and independent input on IPM in orchard crops based on the experiences and insights of individuals active in the agricultural industry and community. Participating individuals provided their opinions on a volunteer basis and were not compensated for their participation in the project. 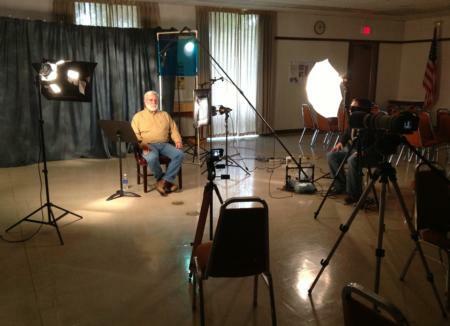 Testimonies were recorded of 35 individuals with highly varying backgrounds and experiences in orchard IPM. Combined years of experience in the field of IPM of all individuals interviewed was greater than 830 years. These professionals included researchers (university, state, and federal), educators (teachers and cooperative extension personnel), IPM users (pest control advisors and growers), facilitators of IPM in private industry, and representatives of commodity groups and special interests. All interviewees except one were asked to address the question “What is the value of IPM in orchard crop production?” Dr. Vince Jones of Washington State University was asked his opinion on “The future of IPM in orchard crops.” No other questions were asked during the recording session. The interviewees were encouraged to express whatever opinions they had about the use and value of IPM to control arthropod pests found in orchards. Because no other specific questions were asked during the recording session, the interviewees were provided an opportunity, before any video recording was initiated, to write down (in bullet form) the topics that the individual would discuss during the recording session. Interviewees were able to refer to this list while being filmed to facilitate a smooth and organized narrative. Interview sessions ran from 5 to 25 minutes in length. The completed interviews were edited for clarity and length and the interviewees were provided an opportunity to review the edited interview and provide comments for improvement. No testimonial video was posted to the website without the written permission of the interviewee. Scientists who develop and refine IPM methods and approaches for controlling pestiferous insects and mites in orchard crops. University instructors and Cooperative Extension personnel who educate students, pest control advisors (PCA’s), and growers on the use and benefits of IPM. Pest Control Advisers (PCAs) and growers who use IPM to control pestiferous insects and mites in orchard crops. Individuals who provide and assist with control actions (e.g., development and provision of pesticides and mating disruption compounds, commercial rearing and provision of natural enemies, provision of insect traps and lures) aimed at pestiferous pests. Individuals who represent commodity agencies and special interest groups who have an interest in IPM and how it is implemented.